It’s time to dig out my rhubarb recipes. Spring is here. The snow is almost all gone with just a bit of the icy white stuff lingering around the edge of the fields. I spent yesterday cleaning out around the perennial plants and adding a new layer of compost to my rhubarb plants. They are looking great again this year and I will start harvesting them in a couple of weeks. I brought these plants with me when we moved here from New Hampshire over 20 years ago and they are still going strong. I divide them every 3 or 4 years to increase the patch. Usually I do this in the very early spring while the plants are still dormant. I dig up the crown by putting a shovel in the ground about 6 inches in depth near the base of the plant and lift the entire crown out of the ground. I then divide the crown with my hands to fist sized pieces and replant them. Then I let the “new” plants mature for a couple of years before I harvest them so the rhubarb can get a good firm hold. When we lived in New Hampshire, the rhubarb peaked just about the time that the strawberries did so it was fun to make strawberry rhubarb pie. But here in northern Maine the rhubarb peaks in May long before the strawberries are ripe (in the late June/early July) so I freeze some rhubarb to use later in my favorite rhubarb recipes. To freeze rhubarb, I wash the rhubarb stems in warm running water and then I trim them and cut them into 1 inch lengths. To retain the color and flavor, I blanch the cut-up rhubarb for 1 minute in boiling water and then immerse it in ice water to stop the cooking process. After that you can either syrup pack or dry pack it for freezing. Sugar helps preserve the quality of the frozen fruit, so if I am storing it for a long time I will sugar pack it. If I will be using it in a month or two I will dry pack it. To sugar pack the rhubarb pieces, sprinkle sugar over them and toss gently. Let the rhubarb stand for 10-15 minutes to draw out the juice, which dissolves the sugar, and then pack the rhubarb and juice into containers or freezer bags. To dry pack the rhubarb, I pack it tightly into containers or bags without any sugar, seal it, and then freeze it. I like this method because I like to bake my desserts with sugar substitute as Bill has to watch his sugar intake. 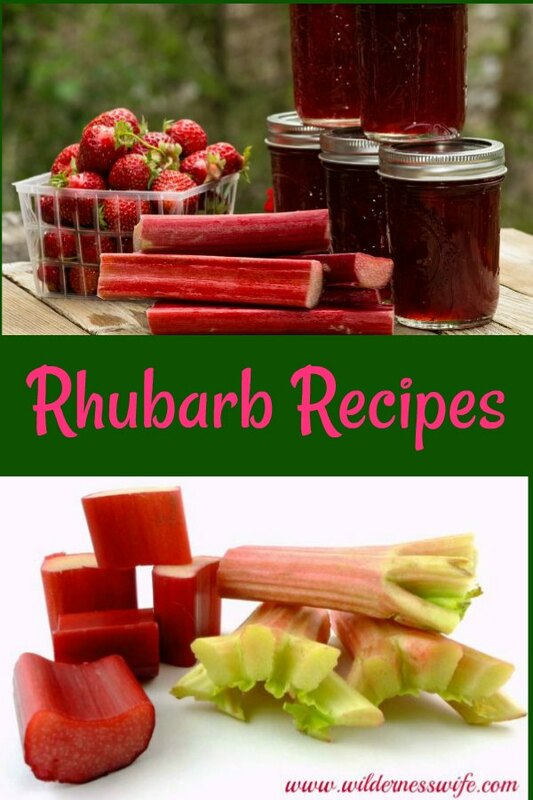 So with this preparation I have a nice little supply of rhubarb that I can use all summer and into fall in my favorite rhubarb recipes as the different fruits ripen in our garden and orchard. 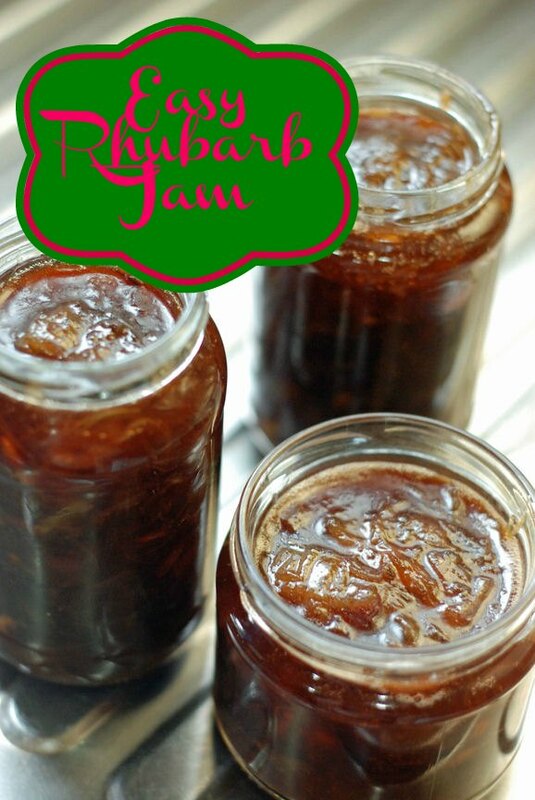 Along with the frozen rhubarb, I also make some jars of rhubarb jam, rhubarb bread and rhubarb muffins. Rhubarb is one of the first things that I can each year. I use the water bath method to can rhubarb jam. Here is one of my favorite rhubarb recipes. Rhubarb jam is easy to make and a tangy addition to your pantry. This recipe is adapted from a rhubarb jam recipe in the book, “Good Maine Food” by Marjorie Mosser, published in 1940. It’s a great source of authentic Maine recipes. I found it on Ebay. Slice the lemons very thin. Reserve seeds whole. Put lemon and rhubarb in large bowl. Put seeds in a cheesecloth bag and add to mix. Cook in a large pot over medium-high heat for 15 minutes, stirring as little as possible. Skim the foam of the top of the cooking mixture. After the 15 minutes, reduce the heat to medium and cook for 30 minutes longer, watching to be sure the jam does not scorch. Remove seed bag and throw away. Pour into sterile pint jars. Place in water bath canner and process for 10 minutes (dependent on your altitude). Can rhubarb be used in container gardens? I wouldn’t recommend it. It is a perennial but the roots do need room to grow and it can become a very sizeable plant. It is also very important to have the “crown” at the right depth. I love rhubarb and am looking forward to making this recipe. Thanks for sharing on To Grandma’s House We Go – I’ll be featuring you next week! Sheryl, I love rhubarb, but have never grown it. Pinned this post to my Garden board for future reference. I cannot get enough rhubarb and I swear, it’s kinda hard to find. I guess I took it for granted that it always grew in my parent’s backyard. Thanks for linking up at Found & Foraged. See you tonight at 8PM! Oh my goodness I love rhubarb. 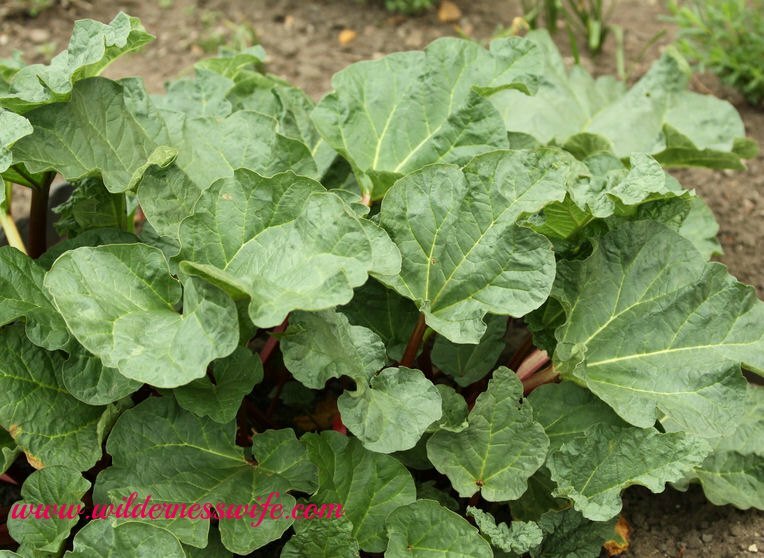 Thank you for sharing tips on gardening rhubarb. Yum, yum, yum! I just love rhubarb everything. 🙂 Thank you for bringing your brilliance to Snickerdoodle Sunday- hope you’ll come back this weekend with your latest makes! That’s true….we almost have another language here in Maine! I moved here to Aroostook County from southern New Hampshire 25 years ago and in the beginning I was really puzzled at some of the local terminology. 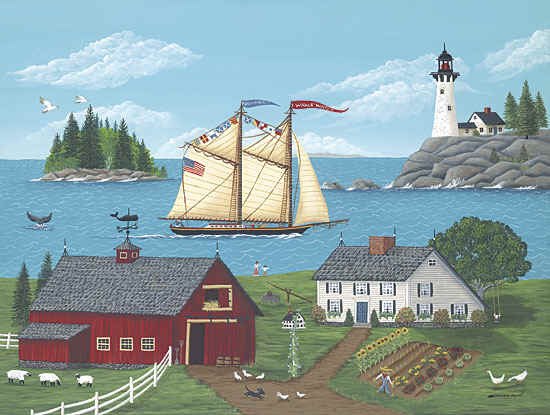 I am well steeped in Maine-isms now, although here in Aroostook County, I will always be one of the people from “away”. It’s wicked good to hear from you! Welcome fellow Maniac! I can relate to the over-civilization and the tax thing. 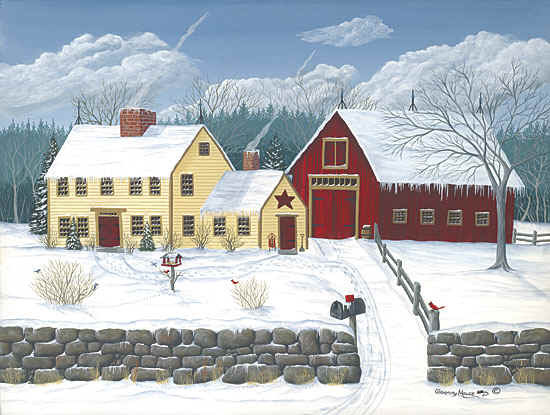 When we were lived in southern NH, we had a postage stamp sized lot and the taxes were 5 times what they are here…..and now we have a house that is twice as big and 60 acres of land! It is a trade-off though! Things were very convenient there whereas you have to travel miles up here for everything…healthcare, shopping, groceries but we love it here! I would never go back! I love homemade jam recipes and this one looks delicious! Thank you so much for linking up at Tasty Tuesday! Your recipe has been pinned to the Tasty Tuesday Pinterest board! Please join us again next week! I tried to grow rhubarb once and it never come up. I was so disappointed I never tried again. But maybe I will get some from the farmers market and try this jam. I’ve never had rhubarb and I’m so curious as to what it tastes like. I’ve seen so many recipes with this in it. Thanks for sharing on Merry Monday linky party. I have always wanted to grow rhubarb, but we have never lived in one place long enough! This recipe looks great. I think I will go to the farmers market and see if I can find some rhubarb and make this! Thanks for sharing at the In and Out of the Kitchen Link Party! I look forward to seeing what you drop off next week! Hey there! Thanks so much for stopping by and linking up another one of your yummy recipe! Stop by again next week and link up another awesome project! I have never done anything with rhubarb and I don’t know why. You’ve got me interested. Thanks for sharing your information and recipe. I’ve never had rhubarb but now I will give it a try. Thanks so much for the tips and recipe. I’m so glad you joined us this week at Transformed Tuesday. Have a great week. OMG! Rhubarb jam?! I so need to make this! 🙂 Thank you so much for linking up with me this week at Tasty Tuesdays! I’ve pinned this & shared it with my followers! I really appreciate you sharing this. I got a Rhubarb start from my daughter a couple years ago. I have used the leaves to make concrete bird feeders, but haven’t cooked with it yet. Mine does not seem to turn real red like the rhubarbs I remember as a child. I think it’s a different variety. Also, it keeps getting blooms that I keep breaking off because I heard that it ruins the rhubarb. Wanted to try making a pie tomorrow. I am sure that it is ready, (It’s huge), but wondering how I know it it’s ripe when it doesn’t turn real red? Any info you have I would greatly appreciate. Thanks for sharing with SYC. When rhubarb blooms, it has “bolted” and turns bitter. It is only good for cooking for a short 3 – 4 week period in the spring. That’s why I freeze it. Be careful of the leaves. They are poisonous (they contain oxalic acid and Anthraquinone Glycosides -nasty stuff) and can make you sick. Only the stalks should be eaten. I love Rhubarb, but had no idea how or what to make with them as the last time I had some my late Granny made some. Thank you so much for sharing this at our ALL MY BLOGGY FRIENDS party ! I love rhubarb! Thanks for the tips and recipe! Thanks for linking up at One Sharendipity Place! I’m crazing some rhubarb now! Oh I wish I could grow it here in Tulsa, OK but they just don’t like the heat and all of the drought. In Iceland I would help my parents make jam every year. Cans and cans with of jam. God I miss it. I have heard that there is a variety that grows in the Texas panhandle area. I’m not sure of its name but if you can find out, I’m sure it would grow for you as you are north of that. Mmmmmm – rhubarb and strawberry pie! 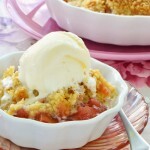 Rhubarb crumble – yummmm! I have never grown rhubarb myself, but my grandmother used to. BTW, I’ve heard that some parts of rhubarb are poisonous – is that true? I remember my Mom’s rhubarb pies fondly, from when we lived in Chicago and had rhubarb in the garden. And, every summer, I love getting a rhubarb and strawberry pie at the Farmer’s Market, here in Virginia. But, as I also am cutting down on sweets, I wonder if you have any rhubarb recipes that aren’t sweet? Can you cook rhubarb as a vegetable? Do you ever put it in soup? Thanks. Looks delish! PINned your post to our Pinterest board!! Thanks for linking up with us at One Sharendipity Place this weekend!! My dad loves rhubarb. His favorite pie is rhubarb. I’ll have to give his wife this recipe and see if she’ll make it for him! We saw tons of rhubarb at the farmer’s market yesterday. My mom bought a rhubarb dessert that was so yummy. Love rhubarb! I don’t know if it will grow in our Texas heat. Do you? My adult daughter absolutely loves to eat it when we find a place that has it on the menu. I had a previous commenter ask about growing in Arizona. Rhubarb is a cold climate perennial and needs the constant cold weather temps below 40F to have good healthy new growth in the spring. It wilts when the temps get in the 90’s. In warmer climates, it does grow but very spindly and not the quality you would want for cooking and eating. I have heard that there is a variety that grows well in the Texas panhandle so check with your County Extension to see if they have any info. Hi Sheryl, I didn’t know you could freeze rhubarb or make jam from it. That’s pretty cool. Thanks for sharing. I am stopping by from the Show-Licious Linky Party and I am a new follower. 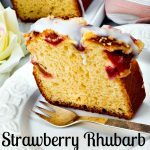 Everyone thinks Strawberry Rhubarb Pie when they hear Rhubarb but there are many ways to enjoy it! I’m making rhubarb crumble for our dessert tonight. I’ll be photographing it and putting that recipe up this week. I live in Arizona…..and feel dumb as a post right now. Is rhubarb a cold climate veggie? We love it, but haven’t had any since we left California. Can’t even find it frozen here!! Is it possible to grow it here? 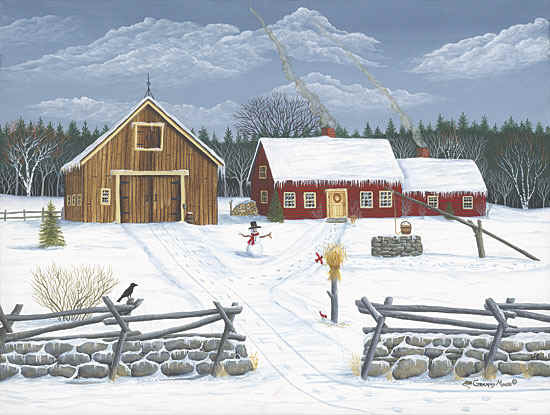 Our winters are fairly short, but do get very cold. If you can help me with this a whole bunch of us would be eternally grateful! Yes, rhubarb is a cold climate perennial. I don’t think it would do well in your climate. It needs to have winter temperatures below 40 degrees F for it to go dormant and stimulate new growth in the spring. Temperatures that average lower than 75 degrees F in the summer are its upper limit for it to have decent growth. If it was able to survive your hot climate, it would have very spindly growth. It will wilt in constant temperatures above 90 degrees F. There is a variety that grows in the panhandle region of Texas but it is different from what we grow up north. Ask your local grocer if they can order it in for you. They bring in produce from all over in these days of air freight. Just get enough to freeze and can! This looks like a tasty jam recipe! Thank you for sharing it. I am very curious about the bag of seeds. Do you know what the purpose is? Does it add flavor or ??? I was told that the seeds add to the pectin content so the jam isn’t runny. Oh! That is very interesting. I hope to try this recipe as I just picked a large bunch of rhubarb about an hour ago.